USPS delivers to nearly all destinations in 2 days. Most orders are processed and shipped the same day! Welcome to the ChachiMomma's Domestic shipping guide! We know how important it is for your items to arrive when you expect them, so please review the shipping information below prior to placing your order. If you have any questions or concerns regarding estimated delivery or need help with your shipping, please feel free to call our customer care representatives at 1-512-800-1391. We are also available via Live Chat or email at info@chachimomma.com. Do you offer Expedited (Next Day) Shipping? How much does it cost to ship to Alaska, Hawaii or Puerto Rico? How do I Exchange my item if it doesnt' fit perfectly? Do you guaranteed that my order will be delivered? USPS Priority orders typically take less than 24 hrs. to be processed and shipped. USPS EXPRESS orders placed before 11:00 am (12:00 pm EST) will be shipped the same day. Weekends and holidays are excluded from processing and shipping times, so please account for non-business days when choosing your shipping method. You will receive an email with tracking information when your order has been shipped. USPS categorizes some area as remote or extended and as a result an OVERNIGHT package may actually require 2 days for delivery. USPS Priority shipment fees are based on weight. Typical fee for any package under 1.5 lbs is $9.95. Incremential shipping charges are applied based on additional weight. To view exact charges, create an order and enter shipping address. Click the 'Estimate Shipping Charge" tab. Do you offer Express (Next Day)Shipping? Yes! We offer USPS EXPRESS Shipping options to ensure you receive your Chachimomma.com order when you need it. All expedited orders confirmed before 11:00 am CST (12:00 pm EST) will be processed the same day pending credit card and address verification. Please note the day your order is packed and shipped is not counted as a day in transit. Expedited Shipping is only valid for orders shipped within the Contiguous United States. Certain cities within the US are categorized as extended or remote and could experience 1 additional day in delivery of Expedited order. Delivery within the contiguous US can be expected in 2-3 business days. You will be emailed a tracking number once your order has been shipped, allowing you to track your package progress and obtain a scheduled delivery date. For orders shipped outside of the contiguous United States please allow 3-4 business days for delivery. Expedited orders will arrive the next day after it is shipped. Please note that certain area within the US experience 1 additional delivery day as determined by the US Post office. For example, remote or less populated area may actually receive a USPS EXPRESS package in 2 days. To determine shipping days, begin with the first business day after your order is shipped. Expedited orders placed before 11 am. CST (12 pm EST) will be shipped out the same day. Expediated orders placed after 11 am CST (12 pm EST) will be processed and shipped the following day. For example, a USPS EXPRESS Shipping order placed on Monday after 11 am CST (12pm EST) will be processed and shipped out on Tuesday. and will arrive on Wednesday. If you have any questions, please refer to our shipping estimation guide during checkout or call us at 1-512-800-1301 or email info@chachimomma.com. We ship to APO/FPO and PO Boxes using USPS Priority Shipping. Delivery time to APO/FPO and PO Boxes varies dependent on destination country. Please contact our customer service department at 1-512-800-1391 or info@chachimomma.com with your request, and they will be able to assist you in placing your order. Once your order has shipped, you will be emailed a tracking number. Copy and paste the tracking number onto tracking search window at www.usps.com. How do I exchange my item if it doesn't fit perfectly? We happily accept Exchanges within 30 days of receipt. Send an email to myorder@chachimomma.com and request an EXCHANGE FORM. Follow the printed instructions to properly return the item. You only have to pay for shipping to send package to us and we'll pay to send it back to you. 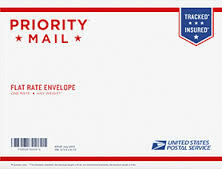 Use a US Post Office shipping envelope to lessen your shipping charges. Soiled, worn, or laundered clothing are not eligible for exchange and will returned to sender. Do you guarantee that my order will be delivered? Yes, we 100% guarantee that your package will be delivered to you. All packages are 100% insured.